His name doesn't register with the majority of fans, but Frenchman Lucien Laurent enjoys a very special place in soccer folklore, having scored the very first goal at the World Cup. Frenchman Lucien Laurent's goal against Mexico in 1930 started in all. The list of important players who have scored at the World Cup over the past 76 years reads like a who's who of soccer. Pele. Maradona. Michel Platini. Johan Cryuff. Gerd Muller. Giuseppe Meazza. His name doesn't register with the majority of fans and he was hardly an influential player, but it is the Frenchman who enjoys a very special place in soccer folklore, having scored the very first goal at the World Cup. A modest crowd of 1,000 spectators showed up at Montevideo's Estadio Pocitos on July 13 to see France take on Mexico in the opening game of the inaugural 1930 World Cup in Uruguay. In the 19th minute of the contest the French forward etched his name in the history books by firing a one-timer past Mexican goalkeeper Oscar Bonfiglio from just outside the penalty area after receiving a pass from teammate Ernest Liberati. 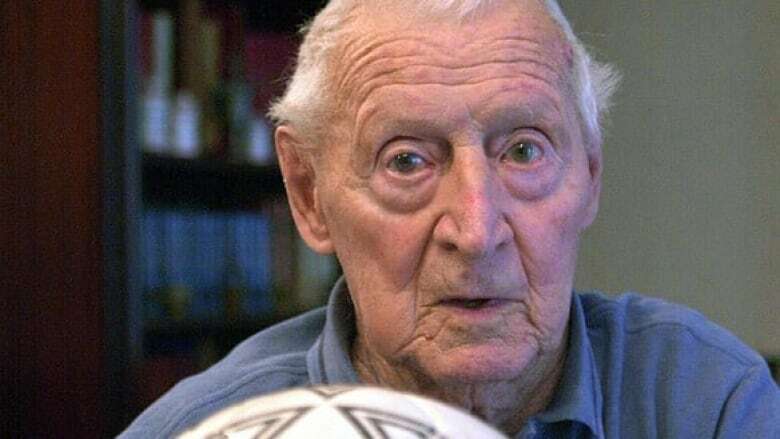 In a 1998 interview with a British newspaper, Lucien, then 91 years old, recalled the goal that literally kicked off the World Cup wasn't "anything special." "Our goalie kicked it to the [central defender] who switched it to our right winger [Liberati]. He beat the full back and sent over a cross which I managed to volley from about 12 yards into the corner," Lucien told The Independent. "Of course, back then I couldn't have imagined the significance the goal would have. We didn't even know the World Cup would last. I remember when I got home, there was just a tiny mention in one of the papers. [Soccer] was in its infancy." France went on to win 4-1, but it was forced to bid a premature adieu and return home after losing its next two games to Argentina and Chile. The victory against Mexico and that first goal was the highlight of the competition for Laurent. The diminutive Frenchman, nicknamed "Petit Lulu," suffered an ankle injury following a crude tackle by Argentine defender Luisito Monti and Laurent had to play most of France's second game hobbled - substitutes were not allowed in those days. The injury prevented Laurent from playing in France's final match against Chile and les bleus were eliminated from the competition. Laurent made his national team debut against Portugal in February 1930 in a 2-0 loss and played his final game for his country in May 1935 in a 2-0 victory over Hungary in Paris. Injury also prevented Laurent from competing for France at the 1934 World Cup in Italy. In total, he made 10 appearances for France, including a famous 5-2 thrashing of England in 1931 in which he scored his only other international goal. Laurent was born Dec. 10, 1907 in Saint-Maur-des-Fosses in Val de Marne near Paris. He began his soccer career with Cercle Athletique de Paris in 1921, remaining with the club for nine years. In 1930, he transferred to the club then known as Peugeot Sochaux, subsidised by the Peugeot factory where he worked. That same year, he and his older brother Jean were summoned to play for France at the World Cup - Jean never saw action in Uruguay - and they boarded the boat that would take them on the two-week transatlantic voyage to South America. Lucien was given time off by Peugeot to compete at the World Cup, but like a lot of players, he wasn't paid while he was away and received only minimal expenses from the French soccer federation. With nothing but time on their hands, Laurent and his French teammates tried to stay fit and in shape on the boat. "We went to Uruguay by ship. It took us two weeks and we had a training session on deck every morning, then ran on the spot in the afternoon. The Romanians and Belgians were on the same boat," recalled Laurent. After crashing out of the tournament in the opening round, France returned home and Laurent played for Sochaux and then jumped between several clubs - Club Francais, back to CAP, Mulhouse, back Sochaux and Rennes - before landing at Strasbourg. He spent two seasons with the team before being called up to join the armed forces and was taken prisoner by the Germans. He spent three years as a POW in Saxony, was released in 1943 and played three seasons for Besancon. Finally, in 1946, Laurent retired and he went on to become a trainer and youth coach while settling down in Besancon. It was there that he later ran a bar for many decades, but his love of the game never died - up until he was 86, he played in a weekly pickup game in his adopted hometown with former pro players and local talent. When he could no longer play, Laurent still came out every week, shouting words of encouragement from the sidelines. He experienced his greatest joy in 1998 when he attended the World Cup final in Paris between France and Brazil. Laurent mingled and charmed the assembled media with his humour and regaled them with tales of Uruguay, and then watched les bleus thrash the Brazilians 3-0. Laurent, the only surviving member of the 1930 French team to see France win the 1998 World Cup on home soil, died on April 22, 2005 in Besancon. He was 97.